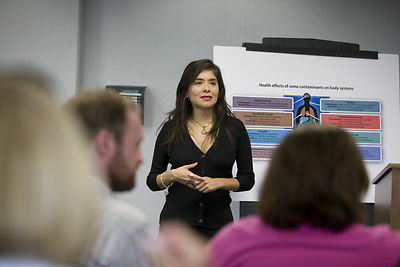 Connect and collaborate with other fraud investigators in your area while participating in local programs and events that promote awareness of the internal controls profession. Fulfill your continuing education requirements without having to pay travel expenses. All chapter meetings are planned by fellow IIC members and focus on what is relevant to your professional development. All chapter training including breakfast/luncheon/dinner meetings with a speaker are accepted by the IIC towards fulfillment of TheIIC CPE requirements. Keep abreast of the most important local internal control issues and emerging trends via chapter newsletters, monthly meetings and seminars targeted to your needs. Chapter membership ranges from internal control specialists with minimal experience to those with a wealth of internal control knowledge. If you are new to the profession, chapter involvement is a great way to learn from the best. If you are an experienced professional, membership in a chapter gives you the chance to give back to the profession by mentoring the next generation of internal control professionals. Enhance and refine your leadership skills by serving on your chapter Board of Directors. Become a leader in the field with your fellow internal control professionals. Want to start a local chapter in your area?